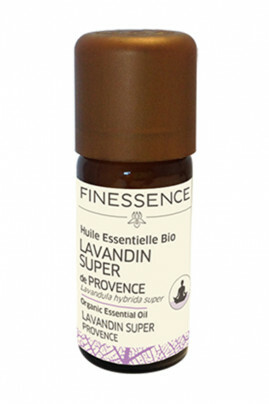 The Finessence Organic Lavandin Super Essential Oil is a natural muscle relaxant! Very useful in case of cramps or aches, it has powerful antispasmodic and anti-inflammatory properties. Rich in analgesic active ingredients, it is also effective against headaches and migraines. In atmospheric diffusion, its fine, flowery smell invites calm and relaxation. While sanitizing the air inside your home, you enjoy these calming benefits. The Finessence Organic Lavandin Super Essential Oil is ideal for relieving stress and anxiety. Healing, it stimulates skin regeneration. In cutaneous application : In a spoon of organic vegetable oil of your choice like organic calendula oil, add 4 drops of essential oil. A natural composition with multiple virtues! Contains: linalool, limonene, geraniol. May cause an allergic skin reaction. Causes skin irritation. Harmful to aquatic life with long lasting effects.